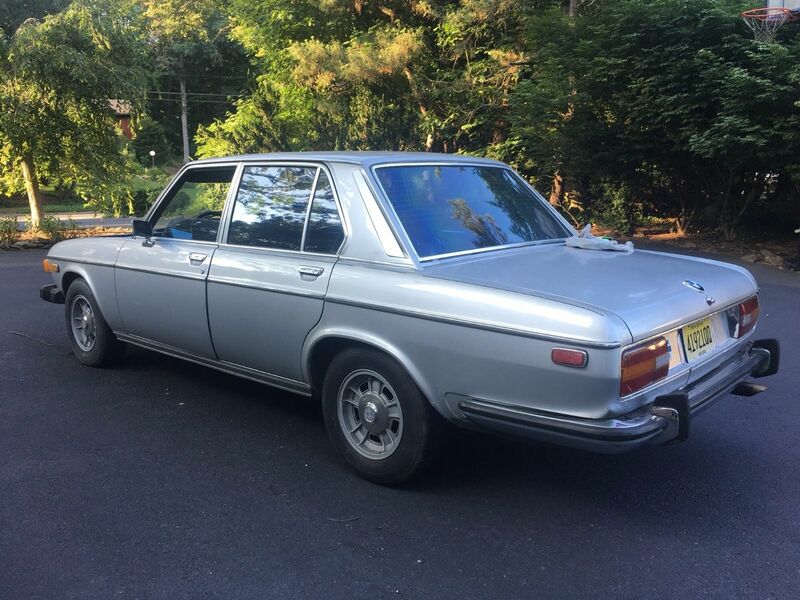 BMW's E3 generation sedan (1968-1977) was known internally as the "New Six" and was badged as the Bavaria when equipped with larger engines for the US Market. The E3 was available with several versions of the torquey M30 big-six and today make for decent classic drivers if you want something German and with a manual gearbox. 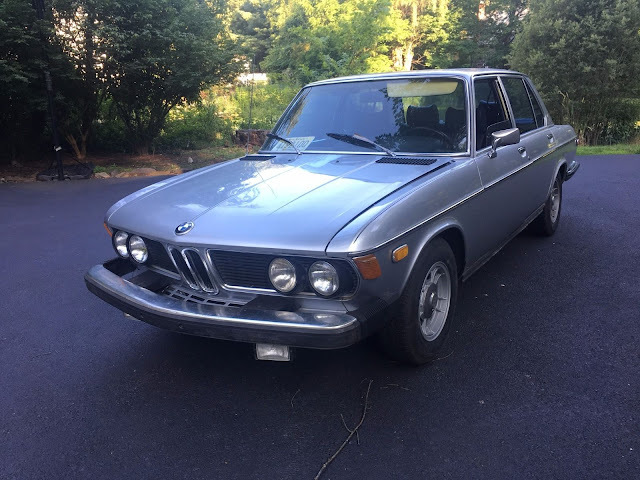 Find this 1974 BMW Bavaria 4 Speed offered here on eBay bidding for $3,400 with 4 days to go, located in Franklin Lakes, NJ. The Bavaria is in a unique place for classic cars. It has been depreciated for years and the rusty versions have been crushed, but the surviving examples are starting to be worth just enough to survive the crusher's jaw and be worthy of some weld repair. The New Sixes (aka E3s) do have a bit of a reputation for being susceptible to the tin worm, but they offer a surprisingly modern driving experience in a great looking package. Are the wheels made by Campagnolo? I have always really liked that design. Bummer about that front bumper. Someone should start a business that solely makes svelte bumpers for the barge generation BMWs. Sean, going off rusty memory here, but I'm 95% sure they're made by Cromodora. Oh that is cool. Two Italian wheel makers from the same region, both with high quality and great designs. I didn't know of this company but should have. Looks like they provided many classics with good looking wheels. True....only difference is I don't wish my road bike had a top end Cromodora component group on it.